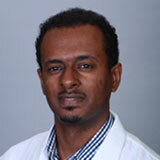 Dawit Adugna, DDS, provides comprehensive general dentistry services including dental exams, fillings, extractions, bone grafting, root canal therapy, crowns, bridges, dentures, dental implants and restorations, periodontal disease management, laser therapy, oral cancer screenings, teeth whitening, veneers, gummy smile treatment, ridge augmentation and more services to keep his patients&rsquo; smiles healthy and beautiful. In addition, his office can usually accomodate same-day emergency dental patients. Dr. Adugna earned his Doctor of Dental Surgery degree from Loma Linda University School of Dentistry in Loma Linda, CA, and his Bachelor of Science degree in Biology from California State University of San Bernadino. He has been a practicing dentist since 2007.